You'll Cross over bridges leading into the city..
Where things are dirty and a little bit gritty. Over the rail way and in through the alley ways..
You'll find a dank spot where the music always plays. Where Freaks, geeks and weirdos alike..
Will be dressed to kill and take the spot light. 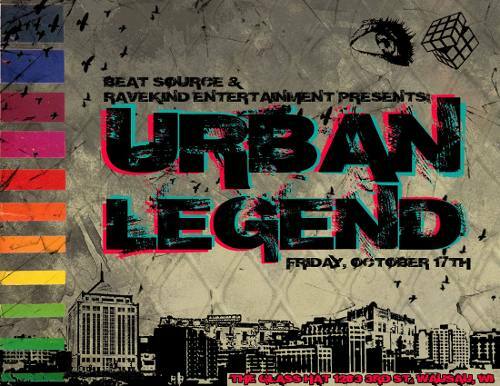 This, we invite you to come one, come all..
To our pre-Halloween urban freak fest crawl. Lights will be bright, bass will be heavy..
A place where Djs will be cutting beats and your brains with a machete. a place that you reckon.. Intelligent lighting & Sound by Firefly, So Funky & Ravekind.